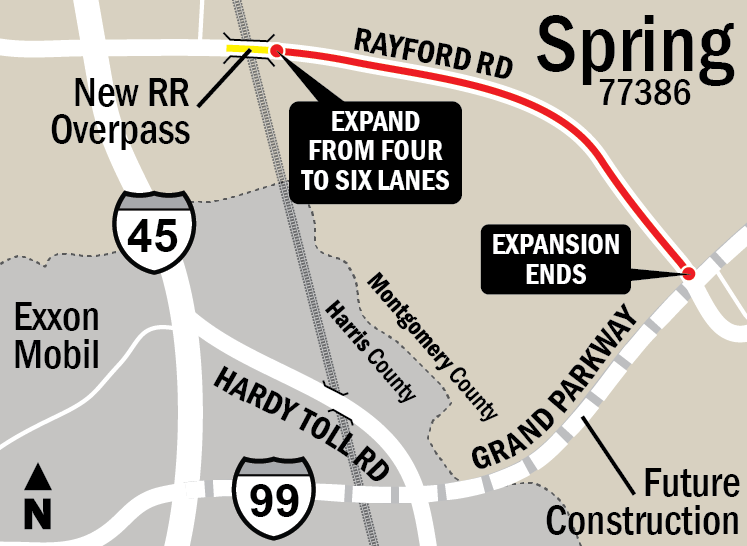 SPRING- The Rayford Road widening project, focused on alleviating the intense congestion identified by the South County Mobility plan, is set to begin construction in early 2017. The planned expansion includes widening the current four lanes to six lanes beginning at the Union Pacific train tracks until Rayford meets Riley Fuzzel Road. In addition, an overpass will be built across the rail crossing to prevent traffic gridlock at this location. 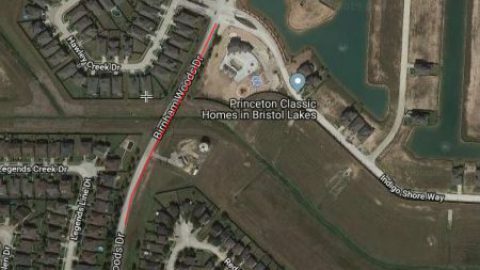 Precinct 3 is currently 80 percent complete with the right-of-way acquisition process and is expecting to finish this stage by the end of December. The design team has submitted 95 percent of the construction documents to the Montgomery County Engineer’s office and anticipates having the final documents submitted for review sometime in mid-November. The Precinct expects to begin advertising the project to road contractors for bids around mid-December and bids will be reviewed mid-January. The road contractor will be given instructions to proceed with construction about two months after receiving bids.